In an effort to provide the highest standard of behavioral health treatment and services to the communities we serve, Friends Hospital works in collaboration with various organizations that share our commitment to service excellence. Use the links below to visit our partners’ websites. The Scattergood Foundation believes major disruption is needed to build a stronger, more effective compassionate and inclusive health care system—one that improves well-being and quality of life as much as it treats illness and disease. At the Foundation, we THINK, DO and SUPPORT in order to establish a new paradigm for behavioral health, which values the unique spark and basic dignity in every human. The National Action Alliance for Suicide Prevention (Action Alliance), a public-private partnership, has partnered with Friends Hospital to strengthen the country’s clinical capacity to provide innovative suicide prevention and care. The partnership significantly advances one of the central priorities of the Action Alliance—to transform health systems and reduce suicides—and marks Friends Hospital’s commitment to be at the leading edge of the transformation. We’re available 24 hours a day, seven days a week to provide a confidential mental health assessment for you or your loved one. Call us at 800-889-0548, visit our facility, or message us to get started. In the case of a medical emergency or crisis, please dial 911 or go to the nearest emergency room. If you need to reach us immediately, call us at 215-831-4600. To schedule an assessment or for more information, please call 215-831-4600 or use the form below. Walk-ins are welcome, and appointments can also be made. We respect your privacy and hold all information discussed in the strictest confidence. 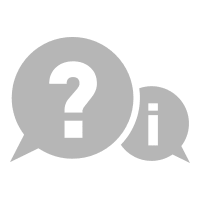 This form is for general questions about Friends Hospital’s services, programs and admissions and IS MONITORED DURING NORMAL BUSINESS HOURS ONLY. If you are experiencing a medical emergency, DO NOT use this form. Call Friends Hospital at 216-831-2600 anytime if you have questions about our clinical programs, admissions process or accepted health insurances. Your call will be answered by a staff member who will ask a few questions to determine the most appropriate care options for you or your loved one. To receive written information about the hospital, please fill out the form below or call 215-831-3549. This form is for general questions about Friends Hospital services, programs and admissions and IS MONITORED DURING NORMAL BUSINESS HOURS ONLY. Please note our staff does not provide online assessments or therapy. Do not use this form if you have an urgent problem. Instead, please call 215-831-3549. If you need immediate medical assistance, contact 911 or seek the nearest emergency room right away. Any information submitted using this form is transmitted securely and held in strictest confidence, protecting your privacy. Physicians are on the medical staff of Friends Hospital, but, with limited exceptions, are independent practitioners who are not employees or agents of Friends Hospital. The facility shall not be liable for actions or treatments provided by physicians. Model representations of real patients are shown. Actual patients cannot be divulged due to HIPAA regulations. TRICARE® is a registered trademark of the Department of Defense, Defense Health Agency. All rights reserved. Model representations of real patients are shown. Actual patients cannot be divulged due to HIPAA regulations.